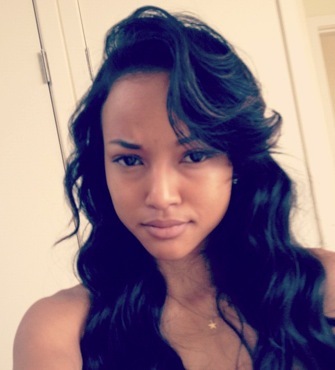 *Karrueche Tran wasn’t too happy to find out she made it onto a top 10 list, which used to be a good thing. These days, not necessarily. In fact, Tran said she didn’t care about what people thought of her. 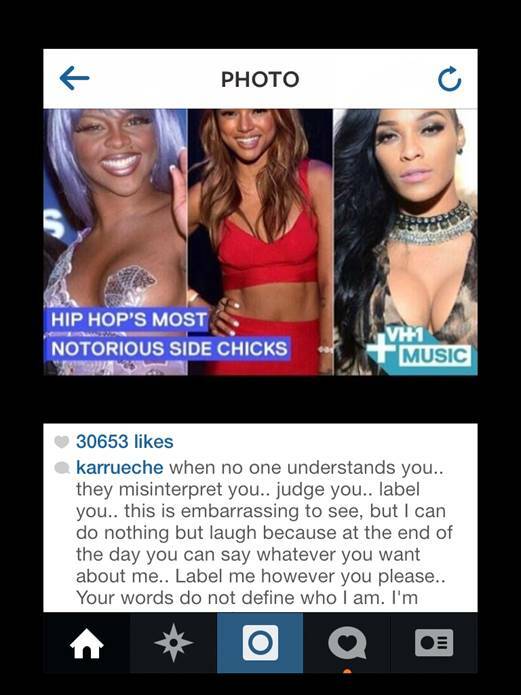 But she seemed to be embarrassed about being called a side chick. She responded to the article on Instagram — expressing how she felt misunderstood. “When no one understands you.. they misinterpret you.. judge you.. label you.. this is embarrassing to see, but I can do nothing but laugh because at the end of the day you can say whatever you want about me.. Label me however you please.. Your words do not define who I am,” she wrote. Lil Kim and Joseline Hernandez were included on the list as well. Previous ArticleWould You Eat Something Called ‘Black Poop’ in a Toilet-Themed Restaurant?